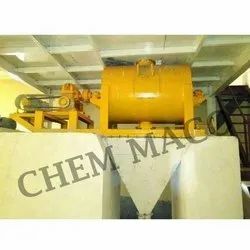 We are a leading Manufacturer of wall putty making machine and glass putty machine from Kolkata, India. 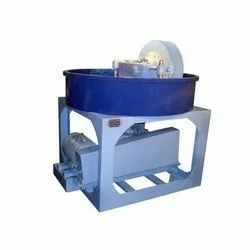 These mixers are highly efficient for super fast mixing, homogenizing, blending of powders, granules with or without the addition of liquids and pastes of low viscosities within a short time. • Capacity Available: 100 Kgs.,200 Kgs.,500 Kgs.,1000 Kgs., & 2000 Kgs. Material Stainless Steel & Mild Steel. Edge Runner is used for mixing of foundry chemicals, plasters, moulding sand, foundry fluxes, food colours, etc. excellent where an amount of binder or agglomerate is to be blended into the material. Also used for densification of the mixture. The pan is stationary inside which rotate heavy duty mullers/rollers. The heavy wide rollers ride over the material where intensive crushing, shearing and mixing action takes place. Scrappers and ploughs are provided for directing the mass into the path of the rollers. The machine is also available with granite rolls and pan. Capacity Available: 125 kgs.,250 kgs, 500 kgs & 1000 kgs. » Faster Grinding & Mixing Time. • Applications: Glass Putty & Black Putty, Foundry Chemicals, Pigment Colors, Pastes, Minerals & Ores, Fertilizer, Other chemicals processing industries etc. Looking for Putty Making Machine ?